Dynamic Hosting Review 2019: Is Dynamic Hosting a Good Hosting? Dynamic Hosting offers Canadian servers on both coasts, SSD storage, a 99.99% uptime guarantee, and a good price point for the performance. An interesting choice for webmasters with a strong American presence, but the lack of specified MySQL capabilities raises a few concerns. 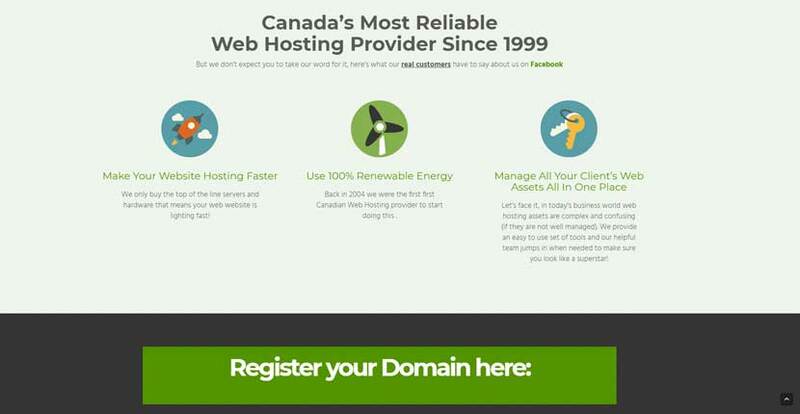 Dynamic Hosting is a Canadian company that’s been in business since 1999. It offers shared web hosting, VPS hosting, and cloud-based VPS packages. Dynamic Hosting operates 413 servers throughout Canada including Vancouver, Calgary, and Halifax. Support is available in English and French. Dynamic Hosting offers coast-to-coast Canadian servers. Not only does this ensure excellent speed-to-market if you’re targeting a Canadian readership, but it offers proximity to the American market without subjecting webmasters to American law. All shared hosting packages are Linux-based and come with automatic nightly data backups retained for 90 days along with free Let’s Encrypt SSL certificates. In addition, there are also disaster recovery backups with off-site data storage along with over 150 one-click application installation options including WordPress, Magento, and Drupal. Uptime is guaranteed at an industry-leading 99.99%. Unfortunately, there is no specific mention of MySQL capabilities. Dynamic Hosting’s entry-level price relative to competitors is good, and upgrading to the “Ultimate 3 Year Plan” gets you unlimited storage, add-on domains, and databases for just a twofold increase in price. On the negative side, while there’s a 99.99% uptime guarantee, Dynamic Hosting’s failure to mention its specific MySQL capabilities makes it hard for webmasters to know what kind of speeds you’ll get until you start using the service. The managed WordPress plan costs about twice as much as the “Ultimate 3 Year Plan” pricing for similar functionality and additional security features. If you’re running a sophisticated website prone to hacking attempts, you may find the peace of mind to be worth the additional cost, however. Dynamic Hosting offers a 30-day free shared hosting trial with no upfront payment required, so you can also try out its service risk-free. There are five different VPS hosting plans offered. The feature lists are identical, with the only differences being storage, traffic, and processing speeds. Plans range from 2-12 vCPU cores, 50-500GB RAID 10 disk space, 5-30TB bandwidth, and 2-12GB RAM. Unfortunately, SSD must be purchased as an add-on for all of these plans. The price-to-value ratio is okay — about 1:1. However, the value relative to competitors is good, especially for Canada-based hosting. Support is available in English and French, but the website is English-only. 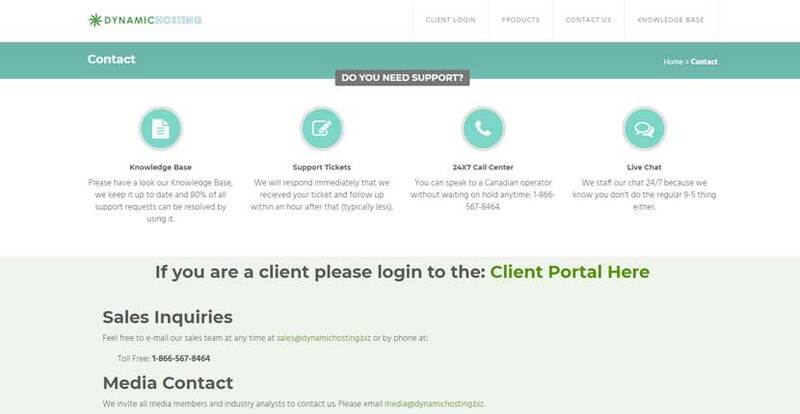 Technical phone and live chat support is available 24/7 and I found them to be friendly and helpful. There’s also an on-site ticketing system through which I got a reply within 24 hours. A self-help knowledge base can answer some basic technical questions. Dynamic Hosting offers free SSL certificates, daily backups, and a 30-day money back guarantee at a competitive price point. E-commerce merchants selling to the American market will find it hard to not be tempted by that — but the lack of specific MySQL capabilities is troubling. Wondering how Dynamic Hosting stacks up against other Web Hosting companies? Enter any other Web Hosting company and we will give you a side-by-side comparison.